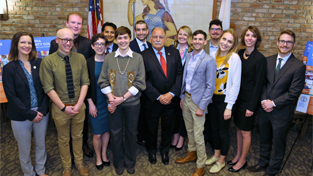 The success of the CCST Science & Technology Policy Fellowship program owes much to the mentorship that fellows receive from their Legislative Member mentors. In February, CCST recognized one such legislator who has made an enduring impact on the fellowship program. CCST announced the inaugural recipients of its CCST Leadership Awards (#CCSTAwards) on February 21, 2018 (see full press release). 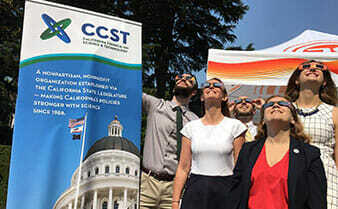 California State Senator Nancy Skinner (D-Berkeley) accepted the CCST Science in Policy Mentorship Award, given to a current or former Legislative Member whose participation and guidance have contributed deeply to the CCST Science Fellows program. California State Senator Nancy Skinner receives the 2018 CCST Science in Policy Leadership Award. Pictured L-R: CCST Council Vice Chair Judith Swain MD, CCST Deputy Director Amber Mace PhD, CCST Board Chair Charles Kennel PhD, CCST Director of Policy Engagement Sarah Brady PhD, Senator Nancy Skinner, CCST Senior Program Associate Brie Lindsey PhD, CCST Council Chair James Sweeney PhD, CCST Board Member Rick Flagan PhD, and CCST Executive Director Susan Hackwood PhD. 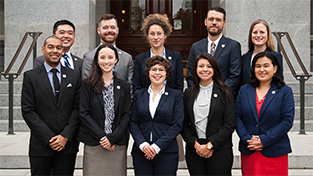 Over the course of her Assembly career, Senator Skinner mentored CCST Science Fellows on four occasions — and all four Science Fellows have gone on to successful careers in public policy, including one current Chief-of-Staff and one current Committee Consultant. 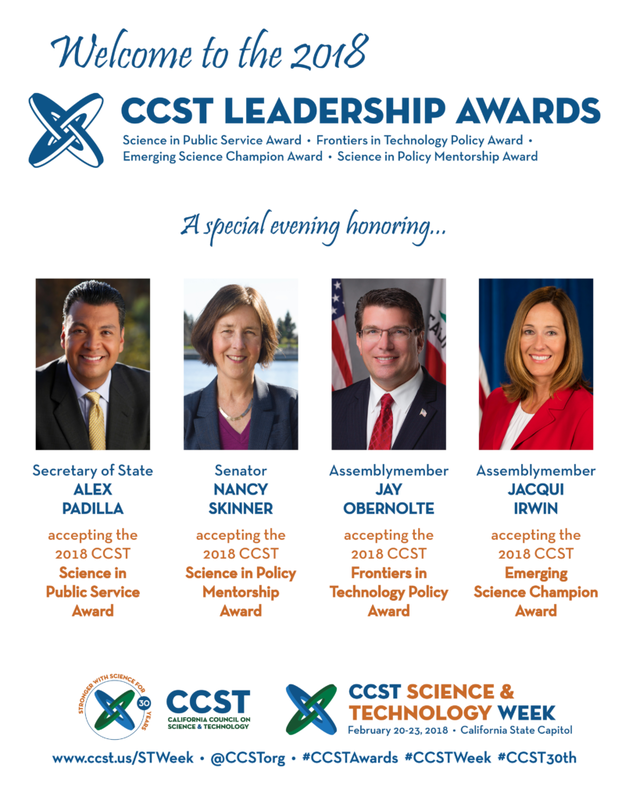 The awardees were recognized during the CCST Science & Technology Week Reception and Leadership Awards Ceremony on February 21, 2018 in Sacramento. Senator Skinner had a prior scheduling commitment, but received the award at her office in person ahead of the ceremony. 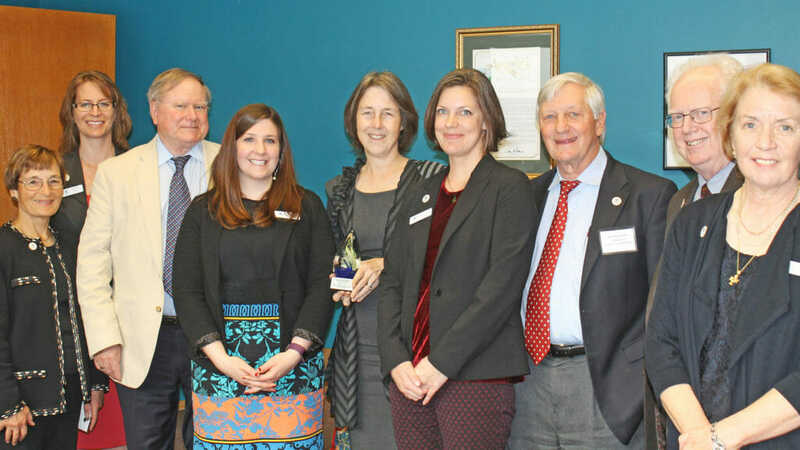 Senator Nancy Skinner as among the four legislative honorees of the inaugural CCST Leadership Awards, announced February 2018.